A popular area 5 minutes away from Nara Rent-a-Cycle. A popular spot because you can give crackers to the deer. 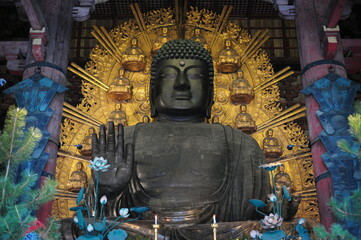 5 minutes away from Nara Rent-a-Cycle, you can see Japan's biggest Buddha Statue. 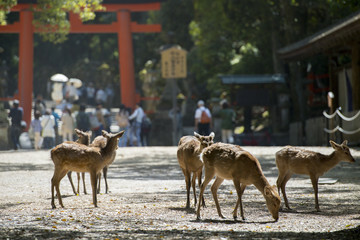 It is right next to Kasuga Taisha, and it is the most popular spot for Nara Sightseeing. 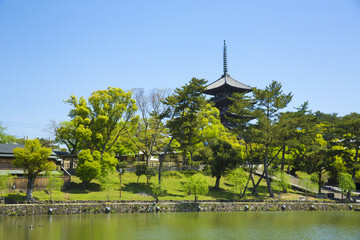 3 minutes away from Nara Rent-a-Cycle, Kofuku-ji. You can see a unique type of building called Endo. An hour and a half away from Nara Rent-a-cycle, Horyu-ji. 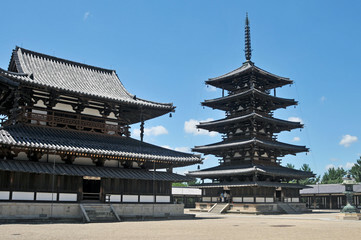 It was built in the 7th century, and it is the oldest wooden building standing today. There are many Buddhist Statues and other cultural crafts inside.